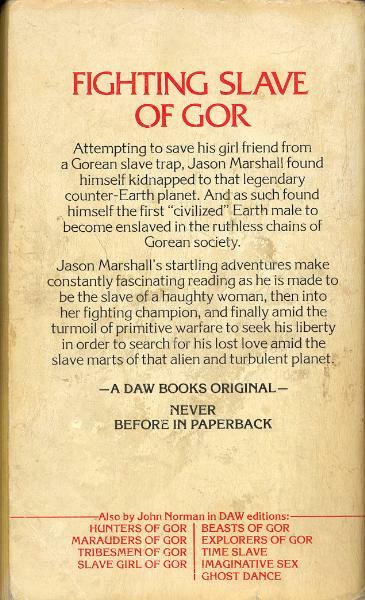 Attempting to save his girl friend from a Grean slave trap, Jason Marshall found himself kidnapped to that legendary counter-Earth planet. 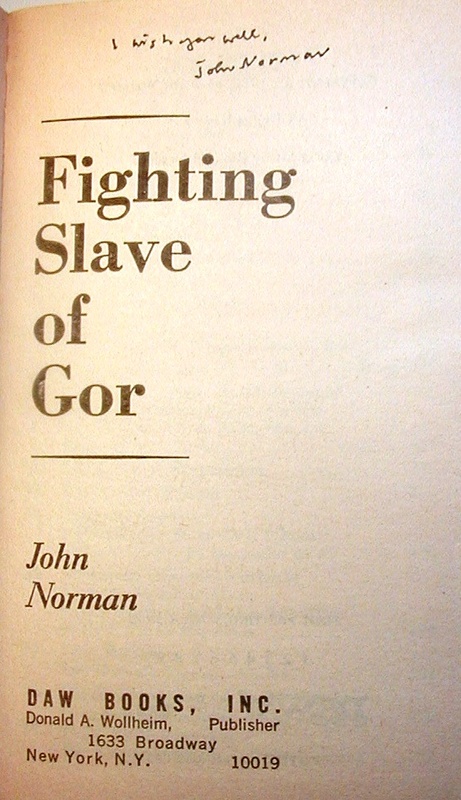 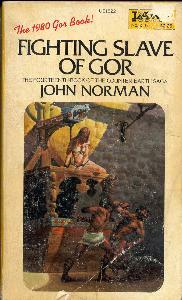 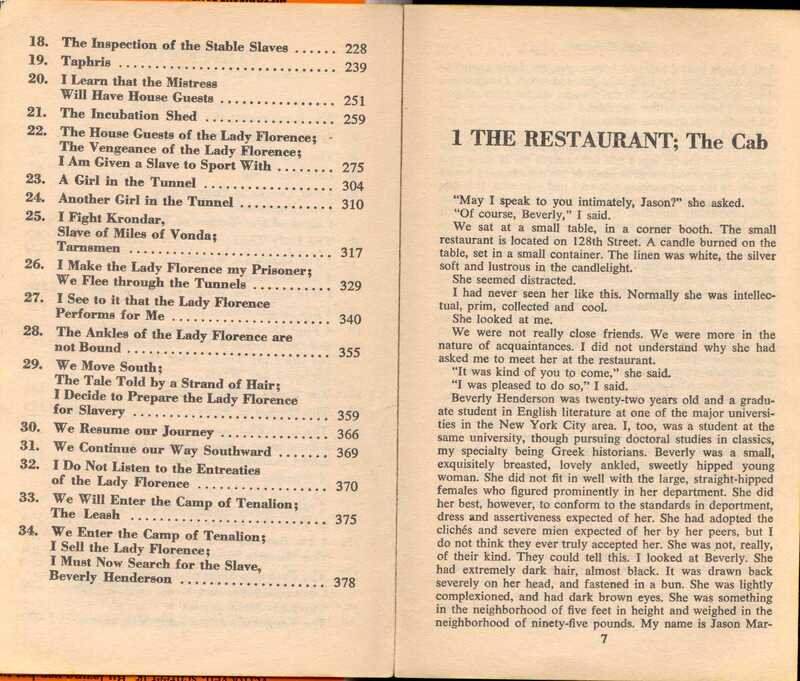 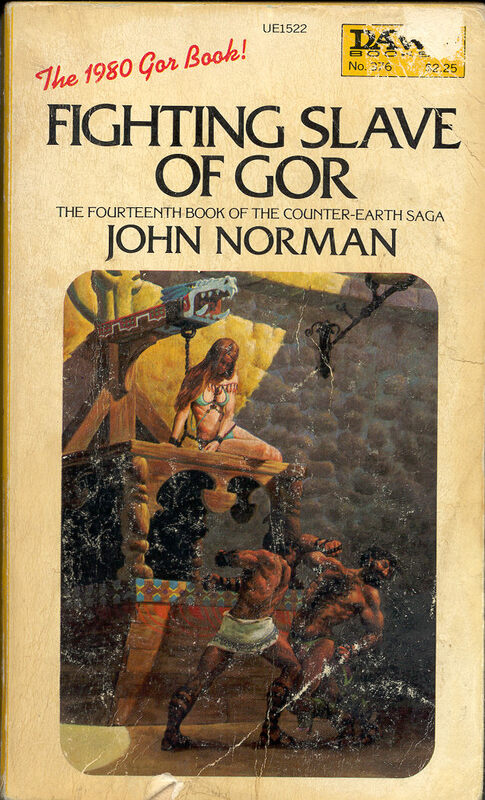  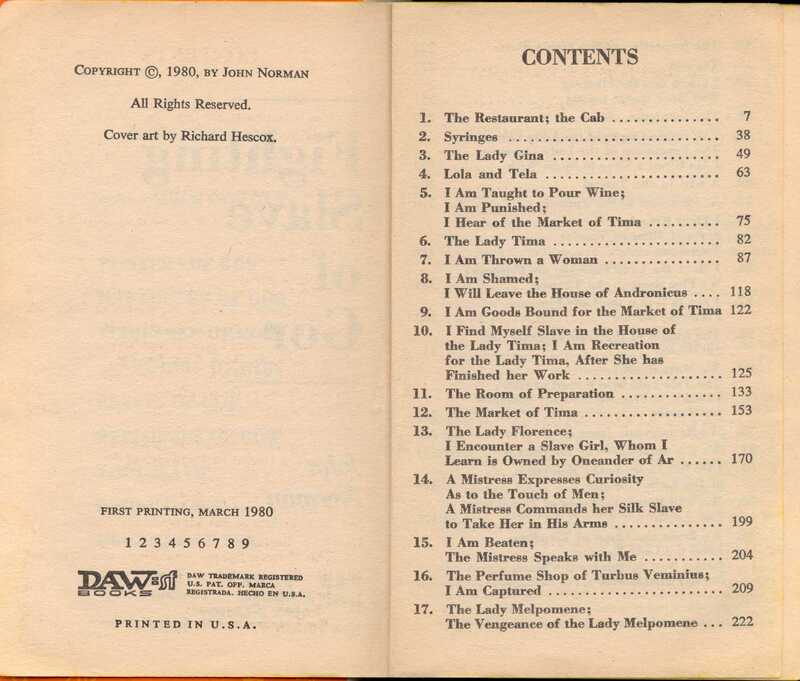 And as such found himself the first "civilized" Earth male to become enslaved in the ruthless chains of Gorean society. 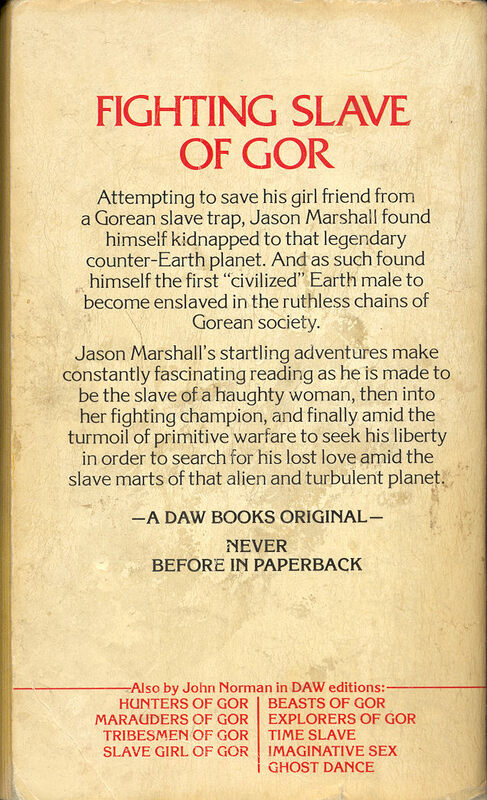 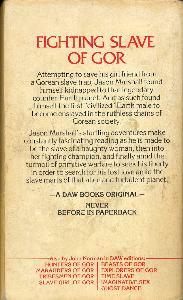 Jason Marshall's starling adventures make constantly fascinating reading as he is made to be the slave of a haughty woman, then into her fighting champion, and finally amid the turmoil of primitive warfare to seek his liberty in order to serach for his lost love amid the slave marts of that alien and turbulent planet.